Over eighty percent of Americans believe that there are too many lawsuits filed in the United States. But the numbers do not support that conclusion, as the number of lawsuits filed has declined dramatically over the last thirty years. 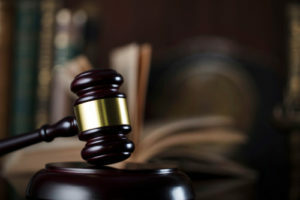 However, corporations and politicians have made a point to make the public believe that civil lawsuits – where individuals seek compensation from other individuals or corporations – are rampant and often without merit. In reality, they help improve public safety by protecting other people from being harmed by unsafe products and dangerous or unsafe practices of corporations and individuals. They protect other consumers by addressing faults with the products of manufacturers. They help establish precedents concerning the rights of individuals in disputes with other individuals. They hold individuals and corporations accountable when their actions cause harm and ensure that others that have suffered the same harm have an opportunity to be compensated as well. Civil lawsuits not only provide a method for individuals to seek compensation for injuries and damages, but they also provide one of the most effective methods for holding corporations accountable for public harms they cause. Civil lawsuits have forced corporations to clean up environmental disasters, create funds for damages related to lifelong exposure to chemicals or other products, and to change production methods for dangerous products, to name a few. This video provides an excellent, short synopsis of the benefits of civil lawsuits and a reminder that they are not as common as you think. If you have been injured or suffered harm due to the actions of another individual or corporation, do not shy away from the idea of a civil lawsuit simply because of the public relations campaign that has been waged against them. The law is there to protect you and your rights and provide the proper method for ensuring that when someone should be held responsible, they are. Remember, you may not only be protecting your rights but the rights of others as well. Did you or a loved one sustain serious injuries due to the actions of another individual or corporation in Pennsylvania? Don’t let the medical bills pile up while you wait for the negligent party, or their insurance company, to do the right thing. Right now, you need an aggressive personal injury attorney on your side and fighting to get you the compensation you need, want, and deserve. The skilled attorneys at Matzus Law LLC represent clients injured due to construction accidents, workplace injuries, premises liability, and more in Pittsburgh, Cranberry Township, Greensburg, Washington, and throughout Pennsylvania. Call 412-206-5300 or email us to schedule a free consultation about your case. We have an office conveniently located at 310 Grant Street, Pittsburgh, PA 15219.